If you’re anything like me, spring time is a great time for road trips, and getting excited about summer! And both road trips, and lazing ’round the house, need great music to go with them. The other day, I stumbled across a great band that will fit into both those categories. Tennis, a husband and wife song-writer duo from Denver, craft beautiful pop that has elements that remind me of some of the late 80’s music in my personal collection, while capturing a bunch of fresh modern sounds. I love the reverb dipped vocals on some of the tracks off the new album like I’m Callin’, and the light guitar parts mixed with warm synth’s like those on Never Work For Free that remind me of beautiful warm days in Spring. Tennis’ third album came out earlier this month and was produced by Patrick Carney (Black Keys), Jim Eno (Spoon) and Richard Swift (The Shins). Unfortunately, I can’t find it for purchase in Australia yet (online or in store) but both of their earlier albums are available around the traps. To add to the great spring vibes, Alt-J’s new album, This Is All Yours, which has been available for streaming online for a while now, comes out on the 22nd Sept. Like their previous album, it’s got a character which is different to a lot of what I’ve listening to of late. Joe Newman’s spectacularly unique vocal takes fit perfectly with the simple guitar, synth and drum tracks and result in great listening-to-while-driving music. I love the first track they released publicly to Australia, Left Hand Free, and particularly the treatment they gave the video clip. 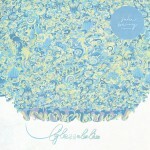 Finally, a friend of mine has released an EP on Bandcamp titled Glossolalia. It’s also got a great spring time vibe, perfect for relaxing poolside in the sunshine, while reading a book. Jake spent some time recording with another Jake in the Blue Mountains and I’m really loving the product! If you’ve got suggestions on what I should be listening to this spring, leave a comment below!